Smartphones have become an essential tool in every line of work, from corporate accounting to carpentry. But often times those working on construction sites don't have easy access to a power outlet for a quick top-off when needed. They do, however, have access to power tools. And with this clever adapter they can harness a drill or saw's rechargeable battery to recharge their electronics. 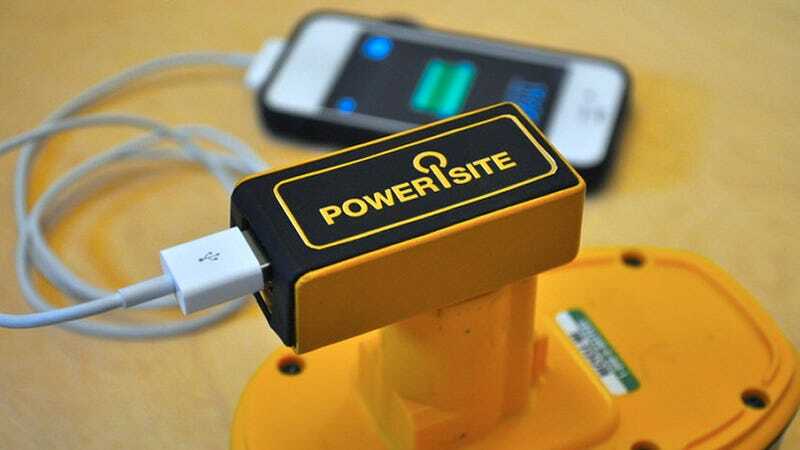 At launch the PoweriSite will work exclusively with most DeWALT rechargeable batteries, providing two USB ports that can even be used to recharge a power-hungry tablet. It's compact enough to fit in a pocket, or better yet, a toolbelt, and is as easy to use as a wall charger.